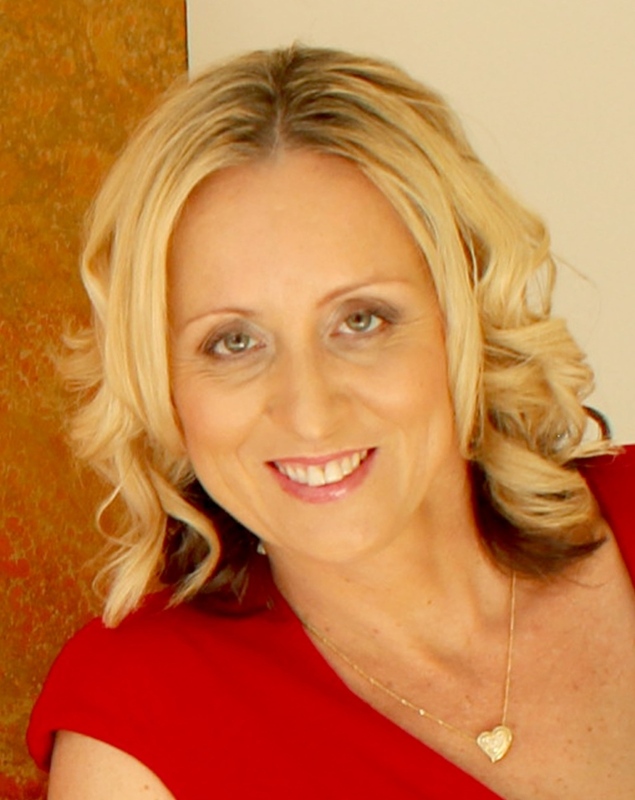 Aleesah Darlison is an award-winning Australian children’s author who writes picture books, chapter books and novels. Her much-loved stories promote courage, understanding, anti-bullying, self-belief, friendship, teamwork and environmental themes. In 2015, she won the Environment Award for Children’s Literature (Non-Fiction) for her picture book, Our Class Tiger. In 2012, she was shortlisted for the same award for her picture book, Warambi. 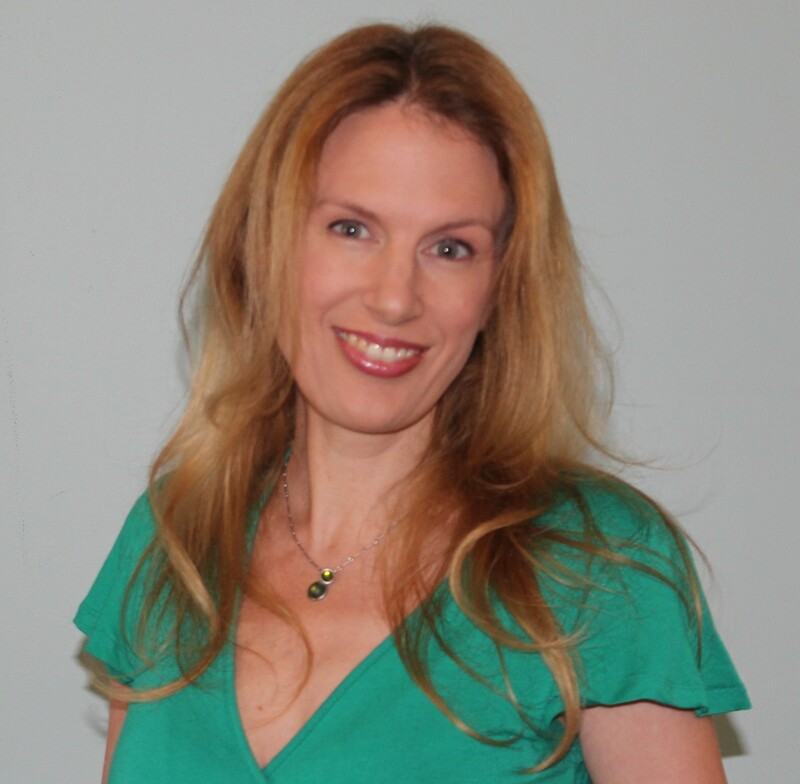 In the past six years, Aleesah has published over thirty-five books including Stripes in the Forest: The Story of the Last Wild Thylacine, Awesome Animal Stories for Kids, the Netball Gems Series, the Unicorn Riders Series, the Totally Twins Series, Ash Rover: Keeper of the Phoenix, Puggle’s Problem, and Mama and Hug. When Aleesah isn’t creating entertaining and enchanting stories, she’s usually looking after her four energetic and imaginative children. I began writing properly – dedicating myself to the craft with the aim of becoming commercially published – about nine years ago. I’d always wanted to be an author but had previously treated my ambition as a hobby. I started entering writing competitions, attending workshops and networking with other aspiring, emerging and established authors. I was very green but also very keen! My perseverance paid off. After three years, I received my first offer of publication through the slush pile – a picture book with Windy Hollow Books called Bearly There. Although that was my first acceptance, it took four years for Bearly There to be published and by then I’d had 15 other books released. 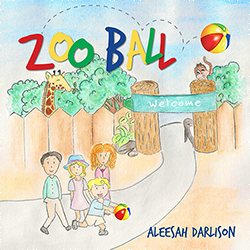 My latest release is a picture book titled Zoo Ball. I wrote the rhyming text. It’s a humorous story about a boy who takes a ball to the zoo. He promptly loses the ball as all of the animals get into the action, passing the ball around. ‘Don’t bounce that ball, Ned,’ Mum warned. ‘We’re at the zoo to see animals today,’ Dad said. But Ned didn’t listen to Mum or to Dad. BOUNCED the ball he had. Zoo Ball is a very original book in that it’s illustrated completely by Australian school children. 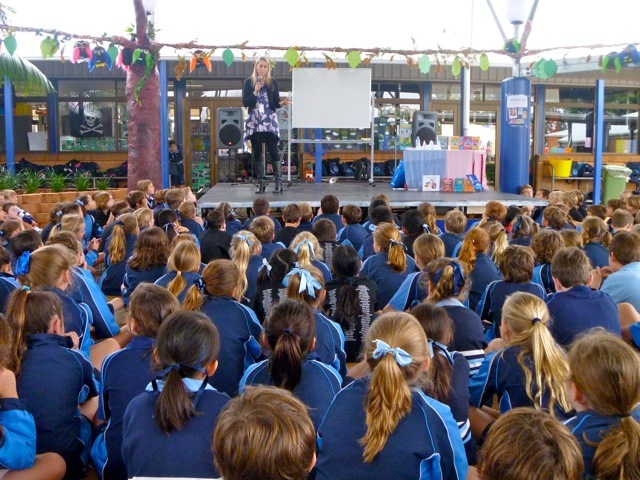 The publisher, Wombat Books, developed a competition that was entered by students across Australia. Each entrant could choose to illustrate a single page or double page spread of the book. Winners for each page were chosen and the overall winning entrant also got to illustrate the front cover. In this way, the competition and the book has created twenty new, young published illustrators. It’s been a fantastic initiative and it’s really blown me away to see how talented children are. It’s my hope that, given this start in picture book illustration at a young age, some of these illustrators will go on to become picture book illustrators (and maybe even authors) when they grow up. I have a wide, white L-shaped desk with my laptop and large monitor set up in the middle. I’m pretty neat so I have a few ordered piles of things I’m working on either side of me. I also have printouts and notes of various things I’m working on pasted on the wall. If I’m not conducting school visits, author talks or workshops etc, and whenever my four children are at school and daycare, I’m at my desk pounding away at the keyboards writing and creating. Typically, I’ll have my kids off to school at 8am. If I don’t go to the gym, I’m back at my desk soon afterwards. I work solidly until 2:45pm when it’s school pick-up time and the kids’ afternoon activities take place. Once the kids are fed, bathed and in bed around 8pm, I may come back to my desk if I have a lot of work on. Otherwise, I might take some notes or printed manuscripts and sit in front of the TV scanning through things while I spend time with my husband. When I’m ready to start a new story, I choose an idea that I like and start brainstorming a narrative and characters. This will be in a notebook and in pencil or pen. Once my ideas become firmer, I’ll plan the story. I might then move over to the computer to start typing up my notes more neatly and to keep everything in one place. When my plan is complete, I’ll start at chapter one and keep writing until I’ve finished my first draft. Then it’s time for reviewing and editing. When the story is ready (and sometimes this can take months) I might road-test it on my children and other author colleagues before submitting to publishers. I’ve always loved books and there’s always been a burning desire inside me to write stories. I don’t know why. I was just made that way. The world around me offers inspiration every day. My kids often say or do the funniest or silliest or naughtiest things and I use those things for inspiration in my stories. Also, I have a pretty good imagination when I give it free reign. Finding enough time to do it all in. There’s never enough hours in a day! Editing. Not my favourite thing to do at all! Coming back to reality after being lost in a fantasy world you’ve created for the last six hours. That becoming a published author wasn’t an impossible dream. If I’d known that, I might have been published much earlier on. I’d love to be able to break into the US and the UK. That’s my main aim for 2016. While I’m still very much an Australian author creating Australian stories for the Australian market (and loving that), I do feel that there are other readers and other opportunities out there. My 8-book Unicorn Riders series has just been picked up in the US so perhaps that will help me gain a foothold. My favourites are Kate Forsyth, Belinda Murrell (Kate’s sister), Susanne Gervay, Jacqueline Harvey, Libby Gleeson, Pamela Freeman and Margaret Wild. Not only are they great authors, they’re fantastic women and wonderful people. 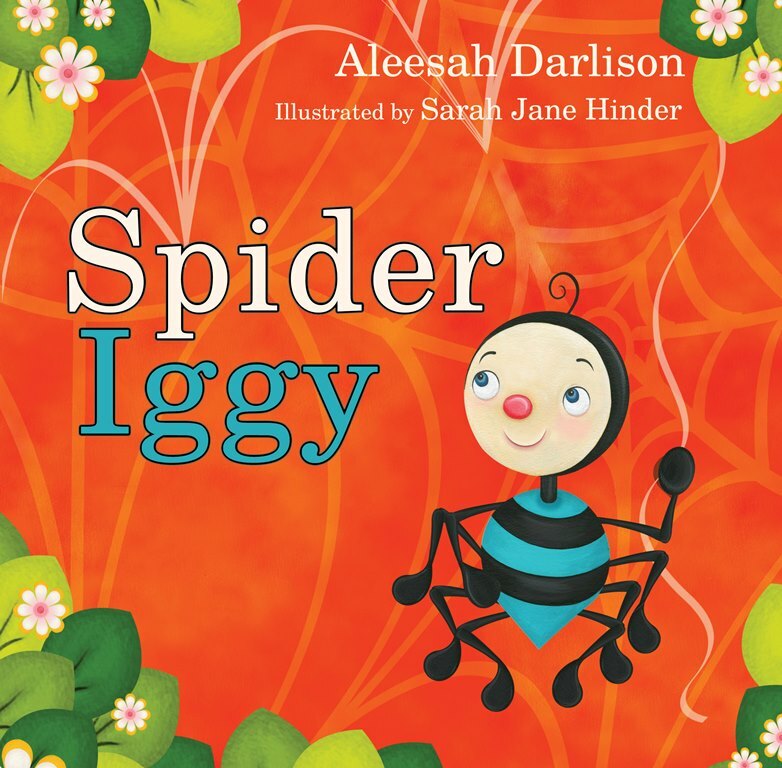 Aleesah is a treasure in Australian children’s books; it’s wonderful to read her story here in your blog.